Shantiniketan Apartments at Rajarhat Chowrasta the gateway of New Town Kolkata 10 mins from the NSCB Airport, situated within minutes from IT, electronics and telecom & financial hubs, just 3 kms from the six-lane Rajarhat Expressway Extension which gets connected to New Town and the National Highway. 15mins drive from sector V. It is also connected to the mainstream by the VIP Road with markets, schools, hospitals and hotels in the vicinity. 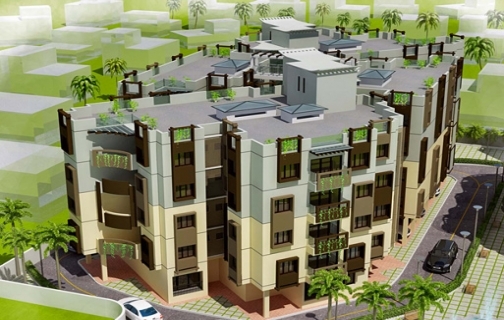 Shantiniketan Apartments offers a wide range of living options in the form of 2 and 3 bedroom apartments which offer complete peace of mind in terms of convenience, security and amenities like children’s play area, swimming pool, gymnasium, banquet hall, Amphitheatre, elevators, 24 hrs security and many more at the most reasonable price. Content provided by SHANTINIKETAN-III, ITCS LIVE disclaims all warranties against infringement.